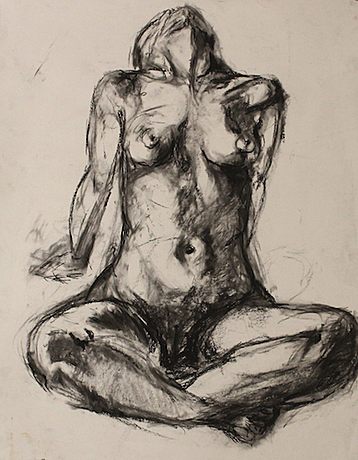 Reclining Figure, Charcoal on paper, 24" x 18"
I am very passionate about depicting the human form. I am especially fascinated with the tangible energy that lies underneath the surface of the skin and oozes out of every pore. My rough, gestural quality of mark making is the vessel through which I explore and express these living, breathing entities in a 2-dimensional space.